Key Verse: Verse 2 – "And Saul tarried in the uttermost part of Gibeah under a pomegranate tree which is in Migron: and the people that were with him were about six hundred men;"
The name pomegranate comes from the Latin word meaning “the fruit of many seeds.” The pomegranate originated in Persia (Iran-Iraq). Snacking on pomegranates can be laborious, as the edible seeds must be selected almost one by one to avoid the bitter-tasting membranes that house them. The pomegranate is about the size of an apple, and it has a leathery, rosy-red skin. While originating in Persia, the pomegranate is a popular fruit in all of the Middle East. 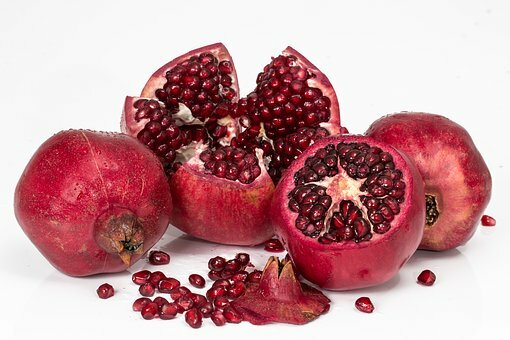 It is high in protein, carbohydrates, and fiber; and it is a good source of Vitamin C. Another thing the pomegranate does is fight against intestinal disease caused by tapeworms. In our text, we find Jonathan, the son of King Saul, and Jonathan’s armor-bearer leaving Saul and his troops behind while they proceed to defeat the enemy. While Saul and his men are resting in a pomegranate orchard, Jonathan is fighting the battle his father should have been fighting. The pomegranate reminds us not to tarry, not to be lazy, when there is work to be done – not to sleep when we should be out about the business of God. Now, that’s laziness. The pomegranate reminds us not to be lazy. So, the next time you see or hear of the pomegranate, let it remind you not to be lazy, but to be about the Master’s business.